Marty & Tom deep in the groove! 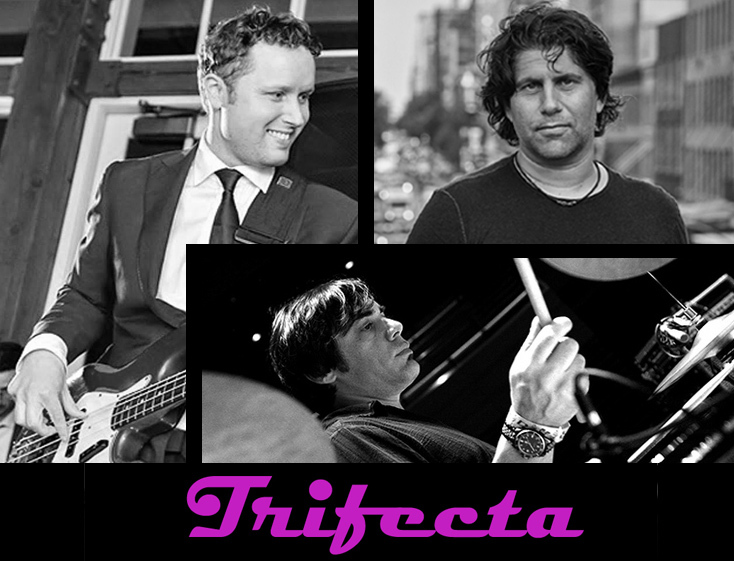 Trifecta is an upbeat NYC cover band putting our own spin on pop, rock, & soul hits from the 60s to today. As a trio, we mix acoustic guitar, bass & drums into a groovy, dance-able stew. We can also expand to a 'turbo-charged' 4-piece depending on your needs. With a wide repertoire and years of experience pleasing NYC's late night party crowds, Trifecta is a "sure bet" for your party or event! I spoke to Paul several times before my event, making it pretty clear that I wanted a Fun party. We went over song options. He & the band were on time & very professional to deal with, everyone had a Great time! Thanks, Mike! It was great to be a part of your event! Trifecta played my Husbands 50th birthday party. Had great tunes. They put on a great set and everyone loved the music. They were also very professional to work with and followed through as expected. I would highly recommend them for any party! Ok, so if you're like me, you're out here on the world wide web looking for a band for your next event or party. You're nervous because you want to throw one hell of an event but, like, you don't know these bands and you're just scrollin' and hopin' ... yep, that was me too. Well, let me just say, these guys delivered--BIG TIME. From an event planning perspective they were the utmost professionals. Easy to work with, on time and executed without a hitch (consider that one less thing to stress about!). From a musical perspective, they were awesome!!! Great song selection and knew how to work the crowd and put on a great show. They were an absolute hit and a major key to what ended up being a really, really great night. Frankly, it went by too fast! I'm ready to do it again :) LOL ....So, I can recommend them from experience and with confidence. I would surely hope to have them again at a future event, thank you guys very much! A month later and people that attended my 40th are still asking "WHO WAS THAT BAND?".. I cant even begin to explain how happy we were with Trifecta. Paul was professional and accommodating from the very beginning and put on a show (for 75-80 ppl) in my backyard like you wouldn't believe. 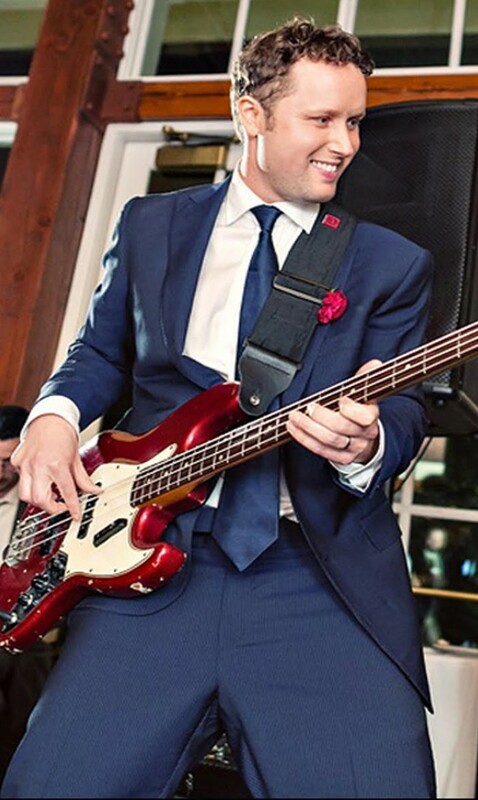 We added an extra bass guitarist that blew our socks off. We will definitely be booking Trifecta again and I already know my friends who attended the party will be contacting them for their upcoming parties. Paul and the band did a phenomenal performance at my husband’s 40th. They were prompt, professional, and had an amazing sound. They worked with us on the song list prior to the event and absolutely won over the birthday boy and the guests. I would highly recommend Trifecta! Thanks Lisa! You were a pleasure to work with, and we enjoyed being a part of your husband's 40th birthday. I'm so glad the slightly rain weather didn't stop everyone from having a great time! I hired Trifecta for my husband’s surprise 30th and couldn’t be more happy that I did! They are so easy to work with, professional, great guys and one amazing band. My friends and family can’t stop talking about how awesome they were and how they “made” the party. Thank you guys for an awesome night!! Thanks Matt & and Alicia. We really enjoyed performing for you guys as well as your friends & family. It was truly a pleasure to be a part of Matt's 30th! About a week ago my organization hosted an intimate outdoor beer garden for approximately 100 guests. Trifecta performed for 45mins, and it felt way too short. The vocals were great, and they were warm, gracious and felt what songs would work well with a crowd that was diverse in age. During the performance, quite a few people came up to me and said that we need to have that at our next event. They were great! We understand that different events may require a different types of performances... a daytime pool party might be a little more laid back than a late-night dance party. We can adjust our set list and ensemble size accordingly. We can interact with the audience or be more background oriented if that is your preference. Regardless, you can expect an upbeat, professional show that your guests will enjoy. Trifecta formed in 2013. Since then we've performed at country clubs and private events in the NY area, as well as at NYC venues like BXL East and Session 73 in Manhattan and Austin Public and The Strand Smokehouse in Queens. Before returning home to New York, singer/guitarist Paul Sforza spent many fruitful years on the Atlanta music scene, where his debut album Lifelines received praise for its “impeccably crafted” songs from Creative Loafing, Atlanta’s #1 lifestyle publication. Since his return home, Paul has released two more EPs which have garnered critical praise as well as listener interest. He continues to build his NYC following with performances at Rockwood Music Hall, Pianos, The Bitter End, The Knitting Factory, The Bowery Electric, Caffe Vivaldi, and Silvana. Bass player Marty Osterer studied music in central Florida where he became entangled in jazz, rock, latin, world, and reggae music, and formed an eight-piece funk band that featured all over central Florida. In 2000, he relocated to New York, where he was selected as the in-house bass player for Murder Inc. Records, laying down bass lines for artists such as Kelly Price, LL Cool J, Ashanti, and Michael Jackson, including the hit single "I'm Real," by Ja Rule and Jennifer Lopez. 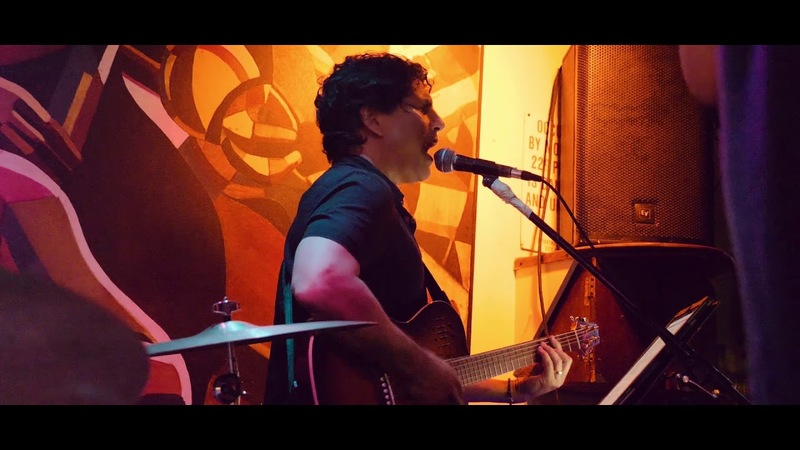 Marty continues to perform in the NYC area with artists such as internationally known choreographer/dancer Silvana Magda, and blues/rock/funk artist Spiros Soukis. 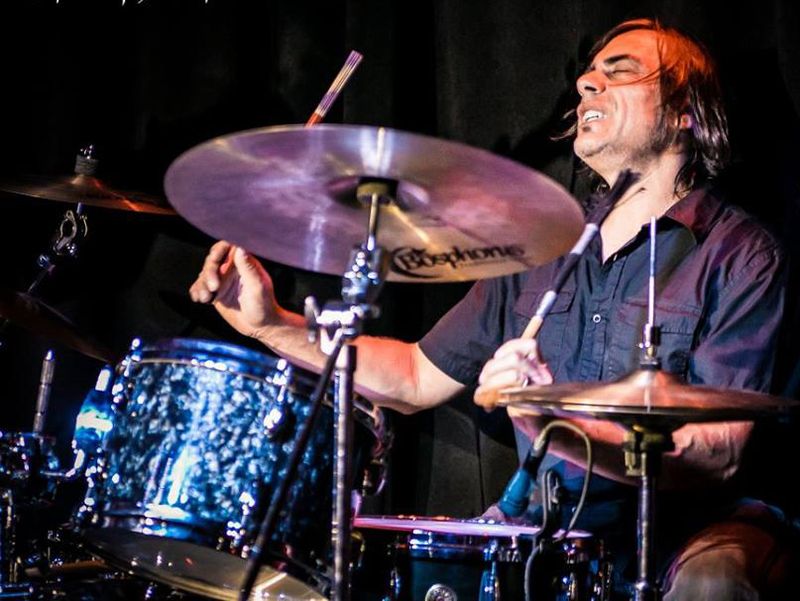 Although the original plan was to be a New York Yankee, Tom Papadatos started playing drums in his sophomore year at Pascack Valley High School after being cut from the varsity baseball team. He later continued his music studies at Berklee College of Music. where he earned a Bachelor of Arts in Performance. 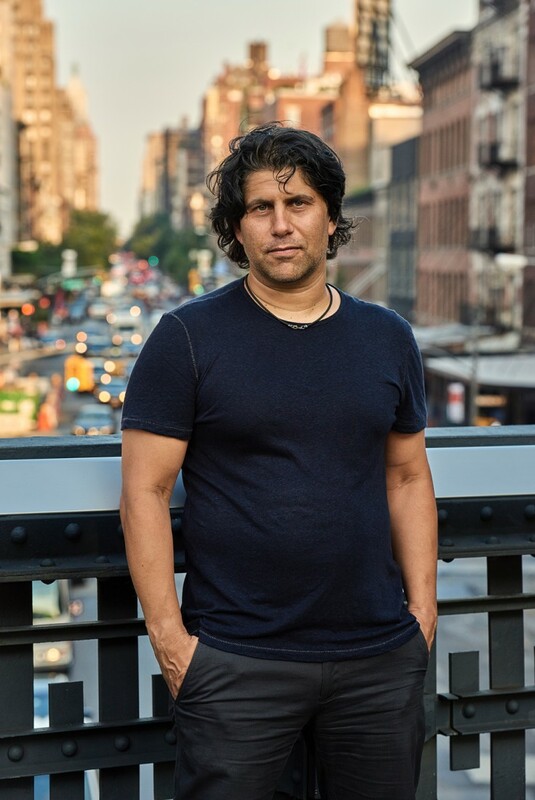 He has been performing as a free-lance musician in the New York area for the last 15 years and has also toured extensively throughout the United States, Asia and Europe with various pop, rock, classical crossover and jazz artists and modern dance companies. We bring our own professional PA system. Here's a list of 84 songs for starters. We also know many more and we are flexible about creating a set list that meets your needs! We've been influenced by so many rock, pop, and soul greats and this is reflected in our diverse repertoire. We're not just an "80's" or "90s" cover band, rather we try to put together unique set lists of upbeat songs from different eras and genres.